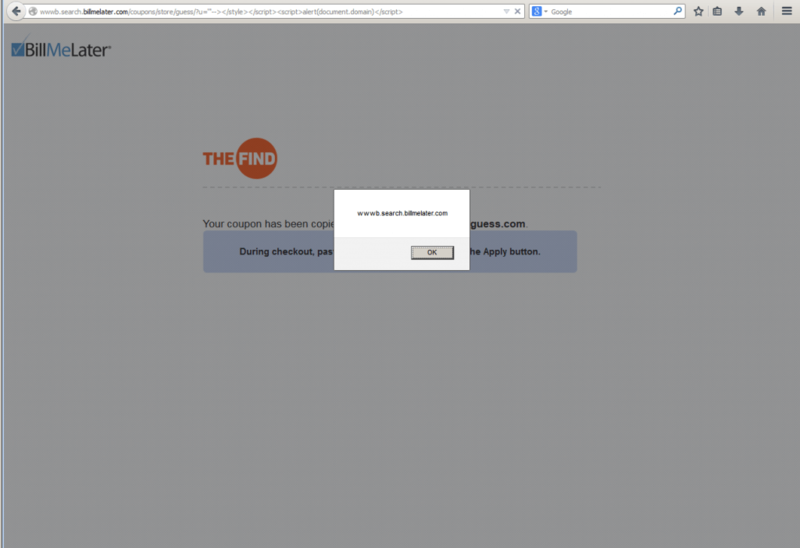 This one only worked in Firefox, Chrome and IE restricted the execution with the anti XSS feature. The Bug was categorized as „Out of Scope“ for whatever reason. has there ever been a paypal bug submission that has been in scope or not a duplicate?